The conventional lead engagement process is failing B2B marketers. Do this instead. The problem with a lot of B2B marketing tactics is the lack of personalised communication. And this impersonality is costing businesses customers and revenue. It starts with a form. The form invites visitors to enter their personal and contact details, in exchange for some information. An eBook, a webinar, demos, tutorials, etc. Let's say you fill in a form in order to get a report, "The state of digital marketing in 2020", because you want to plan your 2020 digital marketing strategy. You’re so impressed by the report that you want to speak to someone from the company about how it can help your business. Specifically, a business development representative who is familiar with your industry. But who to reach out to? The email that came with the report attached is a generic email. You hop over to the company website to look for the go-to-person, but no luck. You have no personal contacts in the company so you can't ask anyone there. Days go by and you still don’t know who to speak to. Meanwhile, the company keeps sending drip email after drip email. An invite to attend a company-hosted event. A sales promotion. A monthly newsletter. Stuff you never really wanted in the first place. Frustration sets in. I guess they're not worth having a conversation with, you think. You feel like just one of many “leads” swirling around some company’s big automated marketing funnel. So you hit the unsubscribe button. 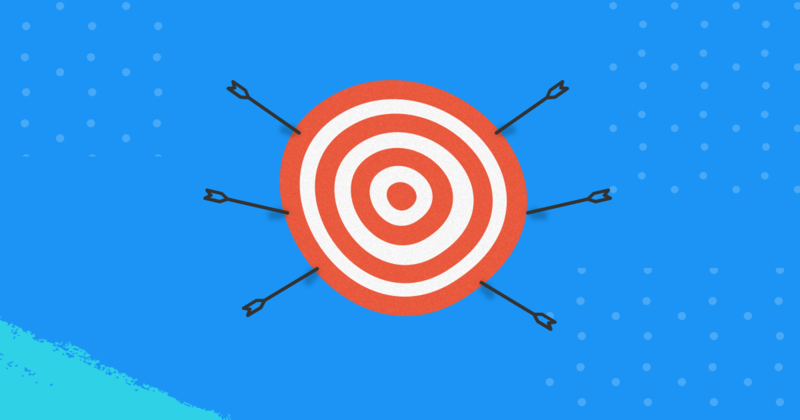 How well do you think the typical B2B drip campaign works? According to research by Salesforce, the lead to conversion rate of B2B email campaigns is about 0.07%! Think about the drip campaign scenario earlier, which is typical of many B2B companies. It’s long and slow. Passive. Devoid of any personalisation. Personalisation means that messages are tailored to specific people. When you know what exactly your prospective customer needs help with, you can get to the root of the problem quickly. You save your prospective customer from hunting down the relevant point-of-contact, repeating their issue at every touch point, and growing more irritated each time. Businesses can do better than that. Communications should be something prospective customers find pleasant, rather than tolerable at best or plain annoying at worst! Unlike conventional B2B marketing, conversational marketing focuses on actively engaging with people. It’s a virtual feedback loop: businesses can address queries, listen to the feedback, and discover new ways to help people. These conversations happen in real-time and on the customers’ terms -- not marketers’. The benefits are numerous. The overall engagement experience is more meaningful for customers. Marketers gain first-hand customer insights, like pain points and what people hope to achieve with the product. Sales receives leads that are definitely hot prospects. That’s all very fine and well, but how the heck do you scale one-to-one conversations?! At Saleswhale, we’ve developed an AI sales assistant that helps businesses engage leads, qualify them, and book sales meetings at scale. That snippet of a conversation you saw earlier? 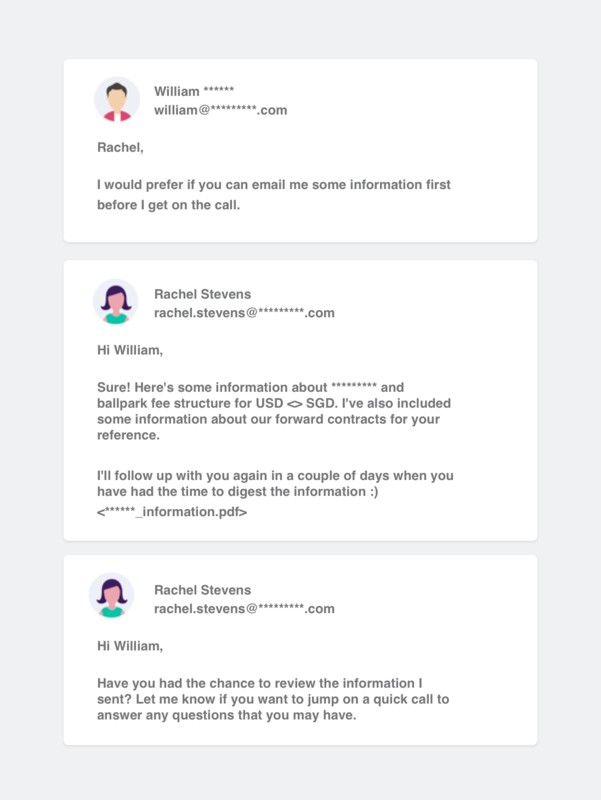 Believe it or not, “Rachel Stevens” is an AI that we developed for our client! We set the AI to automatically engage hundreds or thousands of prospective customers and qualify them based on their intent to buy. Based on the responses, the AI determined whether someone should talk to sales. Or if someone is even a good fit at all. Eventually, that long list of prospective customers was whittled down to a handful of qualified prospects. The AI then routed them to specific sales reps for follow up. We at Salewhale eat our own dog food. After setting our AI sales assistant (Dolores) to work late last year, our revenue grew 11.3 times! The interesting thing is that while we got more leads over time, the number of leads generated did not explode the way our revenue growth did. We didn’t do a lot of awareness type marketing like ad campaigns, trade shows, or search engine optimisation. Nor did we hire a massive all-star sales team. We reached out to each lead and took care of them well. These days, most people have no patience to wait long for someone to answer their queries, or deal with marketing campaigns they don’t care about. If you can’t get to them fast enough, they’d take their business elsewhere -- possibly a competitor. But with AI-enabled conversational marketing, you can have meaningful engagements with prospective customers and scale up if necessary. It worked wonders for us. It worked wonders for our clients, like Randstad, General Assembly, and Wantedly. Can we help you make your marketing more human, too? To request a demo of the Saleswhale AI assistant, click here. To learn more about conversational marketing and how it can help to drive sales growth, check out our SlideShare presentation.